We live in an age where everything is created, and stored, digitally. In order to keep up with demand and store large graphic files on a regular basis, your business will need to find sustainable and economic storage solutions. You don’t want to suddenly run out of space, so where do you house your images? What’s more, where do you keep the backups? On a global scale, we store an unbelievable amount of data. By 2024, ‘the world's enterprise servers will annually process the digital equivalent of a stack of books extending more than 4.37 light-years to Alpha Centauri, our closest neighbouring star system in the Milky Way Galaxy,’ one study by the University of California San Diego suggests. Obviously, your business won’t be managing such a large amount of data. But you will have to accommodate your accumulation of files. As your business grows and your client base expands, so must your storage space. Every business has different needs. However, it’s likely that, on the most basic level, you’ll want to store large graphic files in a way that is accessible, secure and adaptive. When handling large graphic files, you will want to alter, store and share them with clients frequently. There are many debates about whether dedicated servers (onsite or offsite) are better than cloud storage and vice versa. Here’s a short run down of the advantages and disadvantages of all three options. While onsite servers can give you peace of mind, they can be a hassle if you don’t have IT support on hand. Rented offsite servers provide you with all the IT support and security that you’ll need. Unlike cloud storage, you are able to rent your own server space (as opposed to shared). This can be fairly costly, however. Cloud storage is becoming a very popular way of storing large data. This is because it’s cheap, accessible (providing you have a reliable internet connection) and easily expandable. Incorporating onsite servers and cloud storage is an all-round, easy and secure option for small businesses. Here at Pensar, we suggest using Synology NAS (Network Attached Storage) to store large graphic files. Synology lets you choose the right NAS for your business. There’s a storage solution for everyone, regardless of: employee count, data size and the type of data you store. For example, there are plenty of options available that are suited to handling large, high-resolution images and graphics. Your device allows you to back up your local files to cloud storage using Synology’s Hyper Backup feature. We suggest using Dropbox Business for your cloud storage requirements. From here, you can choose which files and folders you want to leave on your Synology. Even after modification, any changes on files stored on your Synology will automatically synchronise to Dropbox Business. Just make sure to keep the system efficient as you add new data and close live projects. Secure. Synology NAS and Dropbox Business are both secure, but if your business ever faces a security breach you can take comfort in knowing that you have a backup to hand. 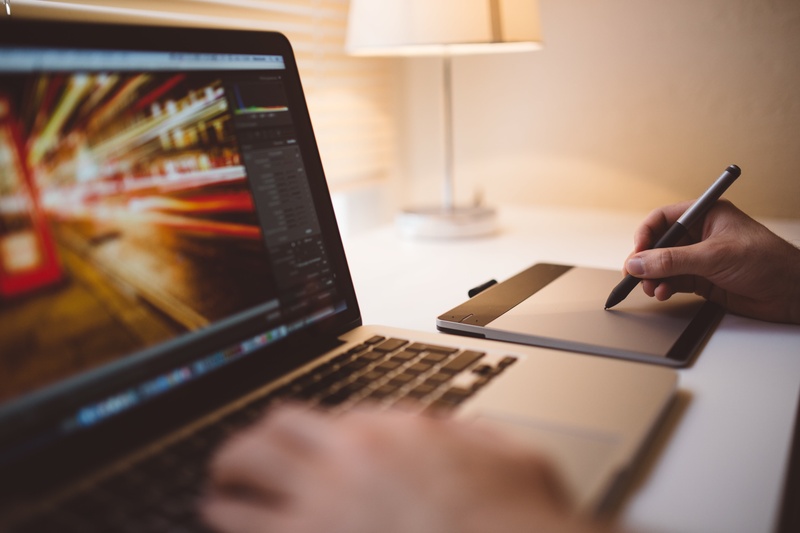 Graphics files can be difficult to replicate or replace, so security should be of the upmost importance to your business. Accessible. If you need to share your graphics with your other offices or clients, you’re able to send an external Dropbox Business link. Simple! Expandable. Your business is able to expand the capacity of the NAS and Dropbox Business provides as much cloud storage as you need, which means you’ll never have to delete your old graphics or images. Instead, you can keep them archived for future projects or reference. Affordable. An onsite Synology NAS device is much cheaper than buying a server. Cloud storage is also more affordable than onsite and offsite servers. In order to upload and download your graphic files easily, you’ll need to check your network for bottlenecks. If multiple employees are dealing with files on a single network switch that has a low capacity or bandwidth, it may take a long time to manage data. When downloading and uploading graphics, in particular, you’ll need a smooth connection in order to move them from your local network and NAS quickly. Additionally, in order to back up and access your cloud files seamlessly, your business will need to have a strong internet connection in place. You don’t want to wait five minutes to load a single image: we all know how infuriating that can be. (The full range of Synology devices and Dropbox Business are available from Pensar, along with initial implementation and on-going support. Contact us for more advice on these solutions).